Water pollution is defined as the addition of impurities, to a water source, that negatively affect water quality, and that harm native terrestrial and aquatic organisms. Polluting impurities can be introduced to our waterways from point sources such as isolated natural or man-made conditions in the environment, or from extensive, diffuse sources that are either natural or man-made. Though it is common to assume that man-made industrial waste and domestic sewage sources are the primary culprits behind the pollution of our waterways, scientific studies conclusively show — today — that natural causes, such as soil erosion, silt-bearing runoff, and the biological life cycles of various kinds of native aquatic and terrestrial organisms, are significant sources of water pollution in their own right. There was a time, prior to the 1960’s for example, when few curbs to the introduction of man-made effluent wastes into our waterways existed, and egregious cases of water pollution caused by man were commonplace. Once the release of such effluents became regulated under penalty of law, and offenders faced fines and incarceration for contaminating public water sources — followed soon after by several highly publicized court battles that ended badly for the polluters — the incidence of man-made water pollution in the U.S. declined dramatically. Today, as a result, natural sources of pollution are at least as serious as those caused by man. In fact, pollution of our waterways by purely natural occurrences have the potential to be such important causes of waterway pollution that their influences must be carefully considered — and whenever possible counteracted — in conjunction with any well-conceived waterway pollution control program. Often, too, man-made and natural pollution causes work together, in synergy, to produce water pollution that rises to a level that neither could have produced alone. Examples are those that get their start from unusual conditions created by man-made sources of pollution, then — because the natural sources exploit those artificial conditions so efficiently — a minor case of man-made pollution is essentially hijacked by natural forces, producing more and more pollution in a biologically-mediated cycle that spirals upward, and sometimes spins out of control. A good example is the initially minor water pollution at Walden Marina, on Lake Conroe, in southeast Texas, that served as the catalyst for an explosion of natural populations of chironomid midges and longjawed orbweavers there in 2009. Initially, the water “pollution” at Walden Marina was entirely invisible, consisting of only a thin layer of nutrient-rich matter on the floor of the marina basin. This material, which early on did not produce any serious problems, most likely was caused by the slow but steady influx of dissolved nitrogen, potassium, and phosphorus from chemical fertilizers and herbicides applied to the lawns of homes and apartment complexes nearby. Rainwater runoff washed these materials into the marina’s basin, where they settled to the lowest depths of the basin floor. As these nutrients built up over time, the naturally occurring chironomid midge population, endemic to that area, took advantage of the increased nutrient load on the basin floor — where their nascent larvae develop until ready to pupate and later emerge from the water surface as adults — to grow more numerous. As the now-more-rapidly-developing midge population slowly gained momentum, it added the extra detritus that accompanied its life cycle to the existing accumulation of man-supplied artificial nutrient load on the lake floor. This made conditions even more favorable for the developing midge population. 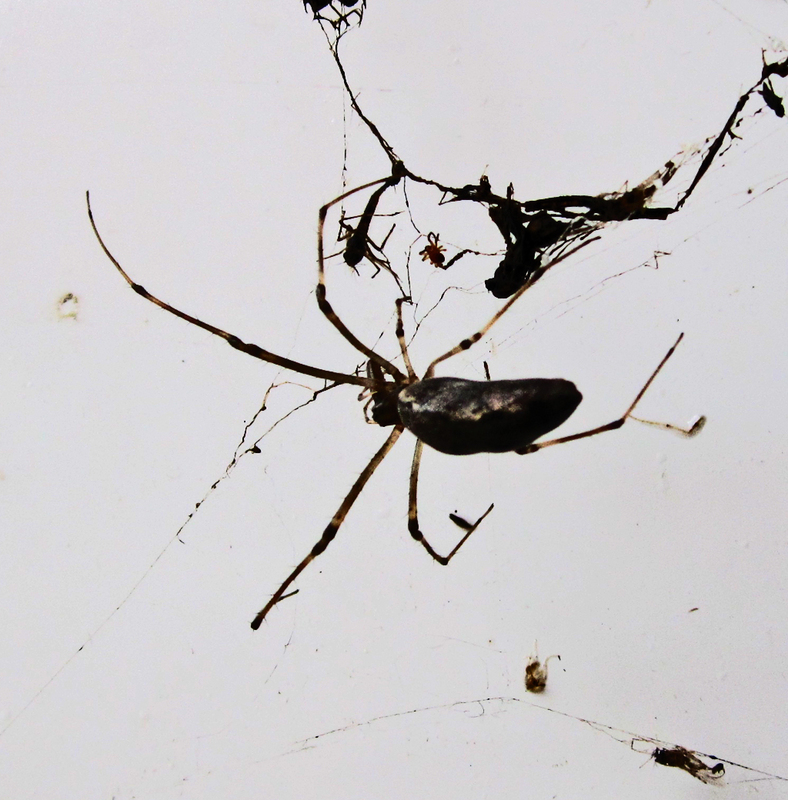 At some point in this process, the extra nutrient load produced by the midges and their natural predators — primarily species of longjawed orbweavers in the arachnid family Tetragnathidae — exceeded that of the man-made initial causes, and became the driving force behind what would soon become a population explosion of both organisms. In the summer of 2009 that explosion reached monumental proportions, as literally millions of midges emerged from the water each night, and thousands of longjawed orbweavers spun miles of silken webs to catch and eat them. Each night during the warm months of the late spring, summer, and early fall, this cycle is repeated. As the midge population at Walden Marina grew, the amount of fresh nutrient pollutants added to the water became sufficient to block the clensing rays of the sun, making the pollution problem worse. By the summer of 2009 the effect had turned the water within the marina’s estuary a dark muddy green color. Secchi disk measurements taken during this time showed that the marina’s water was impervious to sunlight beyond the first few inches of the water surface. All because — over a decade earlier — a small amount of fertilizer and herbicide was regularly being washed into the marina’s water. The lesson from this experience, though, is not as intuitive as it appears. 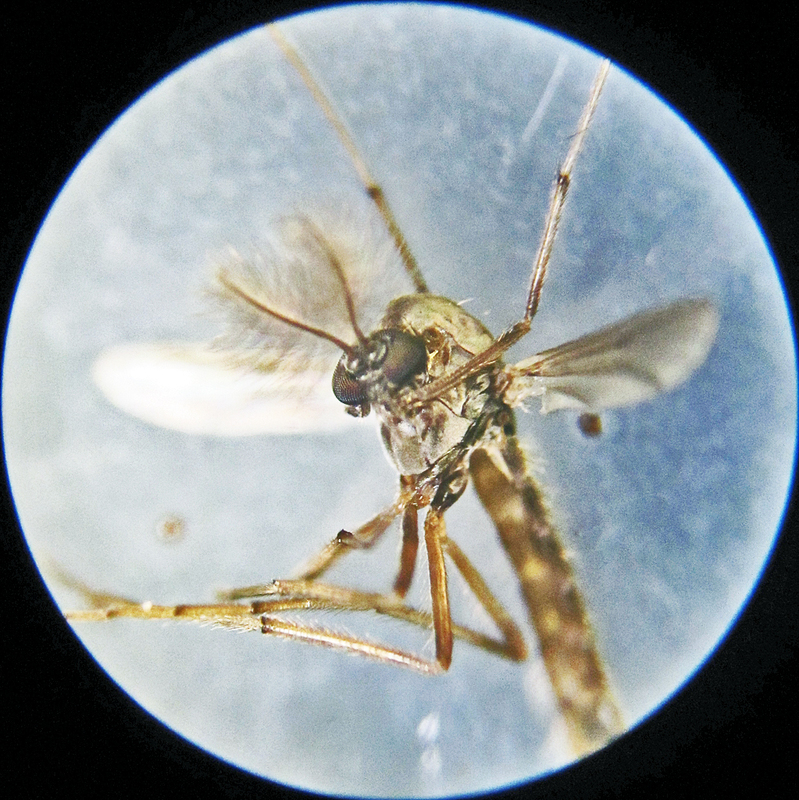 Once enough evidence was collected to show that the midge population itself was now the driving force behind the pollution, steps were taken to control them by using small amounts of non-toxic growth regulators. The moment the midge population declined, the longjawed orbweavers all but disappeared, and the clarity of the water in the marina returned to the pristine conditions characteristic of an unpolluted body of water. Sunlight, now able to penetrate the water’s depths, worked to further purify and help keep the water clean. That’s important, because it is difficult, if not impossible, to monitor and regulate the use of fertilizers and herbicides that are spread on the yards of private properties, especially when the products involved are sold by local nurseries and gardening shops, and are being applied by their purchasers in full accordance with their EPA-approved labels. Alternatively, educating the public on the hazards of overusing such products, and encouraging the adoption of PestAvoidance methods and Habitat Modification approaches to pest problems, sets the stage for a steady improvement in the quality of our watercourses and drinking water supplies.